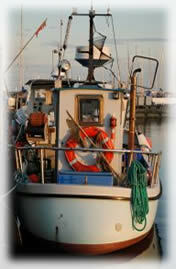 Houseboat contents insurance gives you added piece of mind when living or touring afloat. Houseboat contents cover provides insurance against accidental loss or damage of your contents on-board or for a small additional premium you can choose to include cover for items away from your boat. To take out Houseboat contents cover you will need to provide details of key items that you wish to insure, plus any serial numbers and/or copies of photographs etc that you have (either electronic or paper copy is fine). We can also deduct any no claims bonus that you might have attached to your houseboat insurance up to a maximum discount of 30%. When achieving the maximum you will also be able to protect your no claims bonus, please ask us for fuller information. We currently are unable to offer an automatic online quotation for you but please contact us with your details and we will be able to provide you with a quotation. PLEASE NOTE: Houseboat Contents insurance for live-aboard or touring customers can only be purchased as an add on to a Houseboat Insurance policy. Please visit our Houseboat page and provide your vessel details, a member of our team will then contact you regarding your contents requirements.